Venezuela Analysis – The May 20 presidential election officially pits Hugo Chavez’s successor Nicolas Maduro against four other candidates, the chief among them opposition challenger Henri Falcon, a former governor of Lara State. Yet these elections are as much Trump vs. Maduro as Falcon vs. Maduro. Despite the fact that the country has a long history of free, fair and internationally observed elections, something his own country certainly cannot claim to have, President Trump has pre-emptively decided that the US will not recognize the results, reflecting a longstanding American tradition of casting doubt upon elections whose result does not go its way. The Trump administration has called for a boycott of the elections and placed multiple rounds of punishing sanctions on Venezuela, crippling the economy. It has also directly threatened Venezuela’s bondholders not to negotiate with the country, thus stopping any sort of debt restructuring. The election takes place in the shadow of a possible US-sponsored coup or even an invasion if the people vote for Maduro. Senator Marco Rubio announced that “the world would support the armed forces in Venezuela if they decide to protect the people and restore democracy by removing a dictator” while Trump noted that “we have many options for Venezuela, including a possible military option”. That Maduro is despised and needs to be taken care of is treated as a given in the press, with the only second thought given to how it may backfire if not successful. Yet he maintains significant support, particularly among the working class. Indeed, his approval ratings are higher than many of his neighbors’, including Colombia’s Juan Manuel Santos and Brazil’s Michel Temer. Yet there are no calls for coups against these pro-American right-wing regimes. The US also supported a 2014 attempt at overthrowing the government led by Leopoldo Lopez. Lopez’s plan was to essentially force a resignation through a wave of violence. His followers burned down government buildings, destroyed roads, buses and subway stations, attacked doctors and teachers and even garroted passers by. The movement was highly unpopular inside Venezuela, polling up to an 87 percent disapproval rate, backfiring on the opposition and causing them to lose support. Yet it was extremely popular in the West, as the opposition and their friends in the international media were careful to present themselves as brave protestors standing up against a dictatorship. It was certainly successful in their attempt to garner international sympathy but actually reduced their influence in the country. Despite the violence, the US described Lopez’s group as “peaceful protestors” met with extraordinary violence from the security services and accused Maduro of concocting “totally false and outlandish conspiracy theories” about US involvement as an attempt to “distract” the country away from his misrule. However, it was the US was concocting outlandish narratives when Obama declared a “national emergency” with respect to the “extraordinary threat” to the US Venezuela was causing. That national emergency has been re-declared three times and is still active. Lopez’s placement under house arrest is one of the key White House arguments as to why the upcoming elections are not free and fair. Lopez’s condition is a key White House argument as to why the elections are unfair and why many in the opposition are choosing to boycott them. However, former soldier and state governor Henri Falcon has stepped up to run as a serious challenge to Maduro. Falcon announced his reasons for running not in the Venezuelan media, but in The New York Times, perhaps signaling who he believes his real constituency to be. Closely advised by Wall Street economists, he promises that he will open the country up to international banking organizations like the IMF and replace the local currency with the US dollar. Both are sure to be a huge boon to US business interests but are unlikely to help the people, judging by the many examples of economic shock therapy in Latin American history. That the US has bankrolled, trained and supported virtually every group opposed to the Chavistas for nearly twenty years is simply taken as a given in Venezuelan politics. 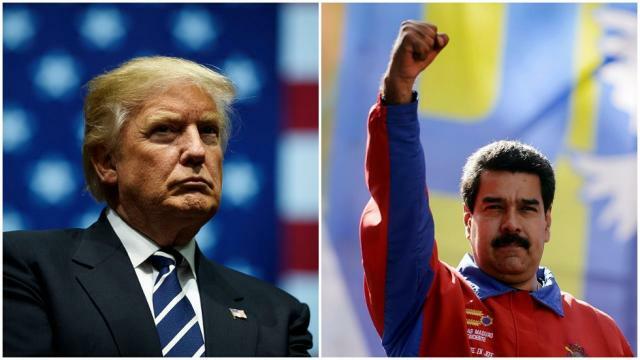 Thus, the election is not so much about Maduro vs. Falcon but Maduro vs. Trump. The public is faced with a choice between the poorly performing Maduro administration or a Trump proxy government. If Maduro does win, the US is sure not to accept the results, resulting in more economic warfare. Yet if Falcon wins the country is faced with potential economic shock therapy. Either one may be a bitter pill to swallow. Alan MacLeod (@AlanRMacleod) is a member of the Glasgow University Media Group. His book, Bad News From Venezuela: 20 years of Fake News and Misreporting, was recently published by Routledge. 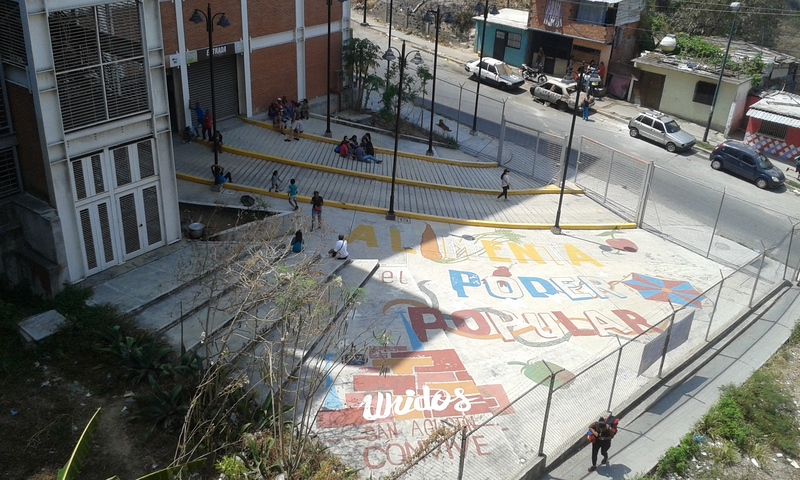 New Internationalist – Venezuela will hold its 24th electoral event in 20 years this Sunday, 20 May. The path to this election was perhaps one of the most convoluted and difficult of Venezuela’s now nearly 20-year Bolivarian Revolution. “We refuse to be victims of a media disinformation operation,” reads an online petition. TeleSur English, May 14 – An international group of intellectuals and activists are demanding media corporations to inform on the upcoming Venezuelan elections in a more balanced and honest way, instead of reproducing a single narrative that’s being spread by most media outlets. “We oppose the media narrative that seeks to conceal and stigmatize the diversity of opinions. We refuse to be victims of a media disinformation operation, the objective of which is to create – in international public opinion – the conditions to justify anti-democratic actions against Venezuela,” reads and online petition on the medium web platform. Venezuelans will take part in the May 20 electoral process to elect a new president among three candidates, two of which are challenging the incumbent Nicolas Maduro, besides the local legislative councils. The petition explains that the election will be overseen by over 2,000 international observers, including organizations such as the African Union, the Caribbean Community and the Electoral Experts Council of Latin America, and media still claims the process is a fraud. “This democratic appointment, however, is already being boycotted by the political and media arms of powerful groups nationally and internationally denouncing the results before they have even been announced,” says the petition. Despite opposition candidates having actually said they trust the Venezuelan electoral system, other sections of the opposition are thinking the process is a fraud and have called for abstaining from voting, while others even have called for a military intervention instead of taking part in the elections. 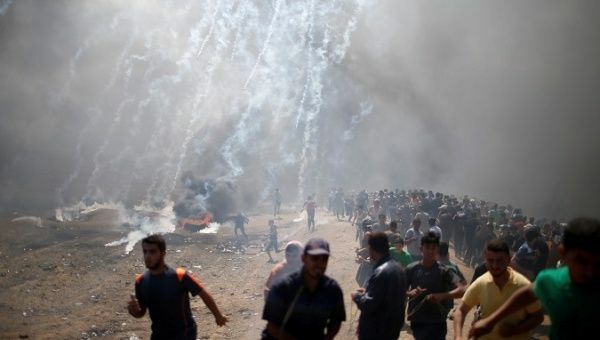 TeleSUR English, May 14 – At least 52 Palestinians have been killed along the Gaza Strip during demonstrations against the beginning of the relocation of the U.S. Embassy from Tel Aviv to Jerusalem. Venezuela “firmly condemns” the “violent actions against the Palestinian people,” stated the country’s Foreign Minister Jorge Arreaza on Tuesday in reaction to the Israeli attacks against Palestinian citizens in Jerusalem. Venezuela, “always aligned with its constant support for the Palestinian people’s cause and its entire right to recover the territories that historically belong to them, joins them in the pain they are going through in such dark times, and joins the relatives of the victims in their mourning,” said a communique. Israel police have deployed thousands of police officers in Jerusalem for the U.S. embassy relocation ceremony. According to health officials, at least 52 Palestinians have been killed along the Gaza Strip during demonstrations against the beginning of the relocation of the U.S. Embassy from Tel Aviv to Jerusalem. It was the highest Palestinian death toll in a single day since a series of protests dubbed the “Great March of Return” began at the border with Israel on March 30 and since the 2014 Gaza war. The health officials said over 2,000 Palestinians were wounded, about 450 of them by live bullets. Palestinians have long viewed East Jerusalem as the true capital of a future Palestinian State. The protests are scheduled to culminate on Tuesday when Palestinians mark Nakba Day. 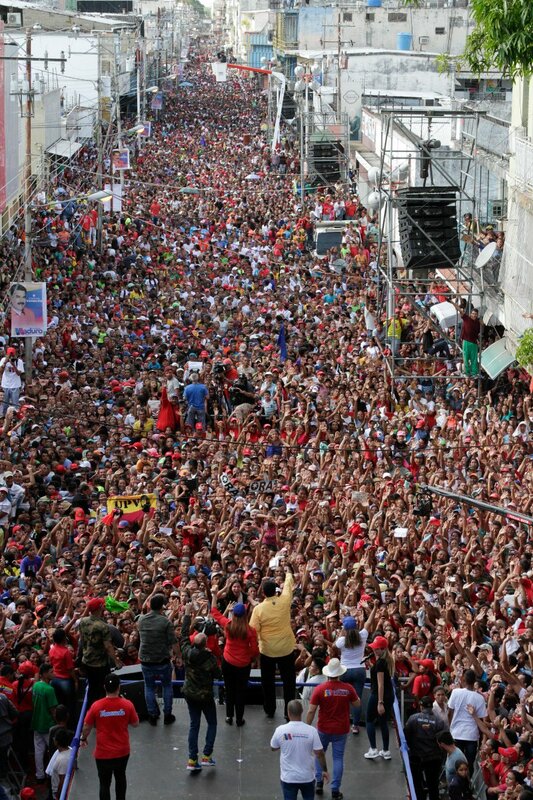 In the midst of great odds, Venezuela has decided to move forward with the May 20 presidential elections. In this podcast the VA team brings an on the ground perspective of the current campaign, the candidates and the controversy surrounding the electoral process. By Venezuelanalysis.com, May 10th 2018 – Venezuela is once again in the global spotlight as it prepares for what may well be it’s most controversial and highest stake electoral process since the beginning of the Bolivarian Revolution. The United States and it’s poltically allied countrie have already refused to recognize the results of what they have referred to as an ilegitimate process, accompanied by a fierce corporate media campaign and strangling economic sanctions that have deeply affected the daily lives of Venezuelan citizens. 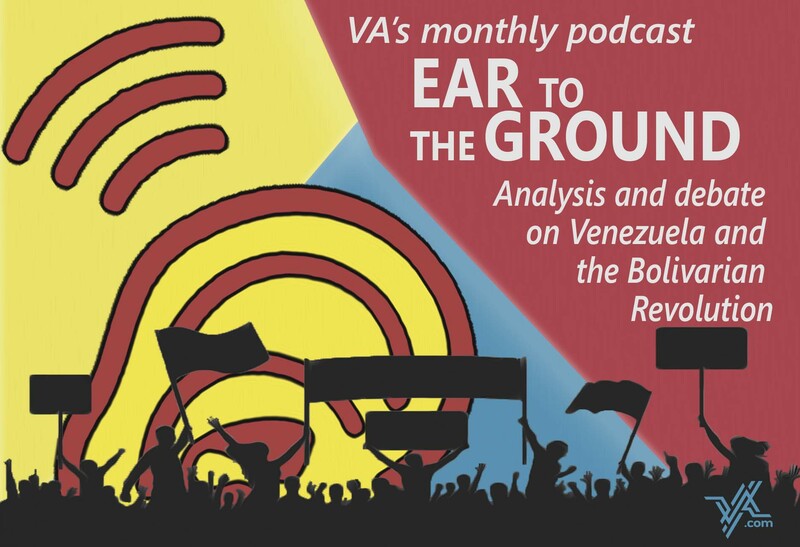 Venezuelanalysis brings you this special edition podcast of Ear To The Ground to address some of the pressing internal and international issues around the upcoming May 20 presidential elections. Venezuelanalysis Podcast #1: Can Chavismo Triumph in 2018 Presidential Elections? ‘Venezuelans have time and again shown the world how much they value democracy and free elections’, said Venezuelan activist Eulalia Reyes de Whitney. 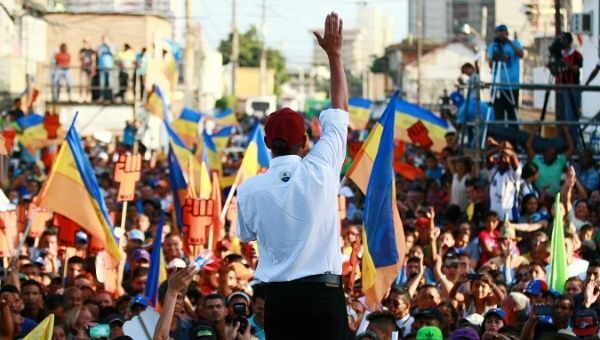 Campaigning is well underway for Venezuela’s May 20 national vote to elect the nation’s president and representatives to municipal councils and state legislatures. The elections are being held in the context of the ongoing political polarisation and economic crisis that have wracked the nation over the past few years. Incumbent President Nicolás Maduro, who has pledged to defend and strengthen the pro-poor Bolivarian Revolution initiated by his predecessor, Hugo Chávez, is currently leading in the polls. 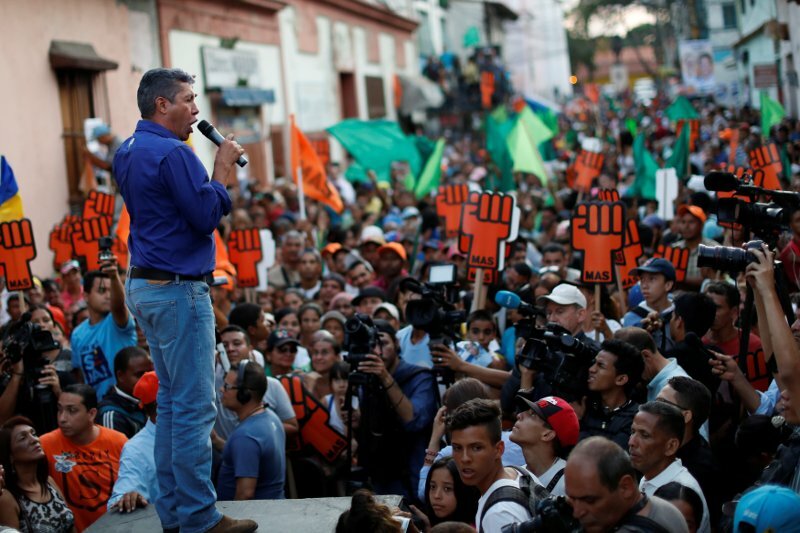 His main competitor is Henri Falcon, a former pro-Chávez governor who joined the opposition in 2010. Fearing a Maduro victory, the United States — which on May 7 announced a new round of sanctions on Venezuela — and the European Union are threatening to not recognise the results. 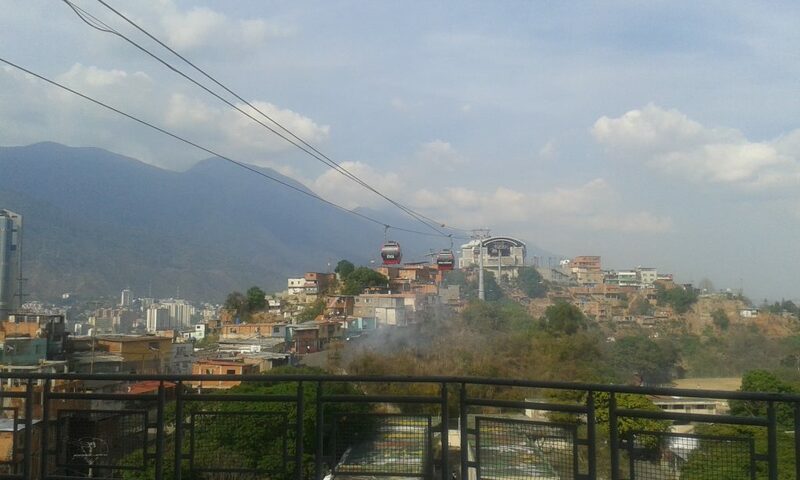 This is despite having demanded Maduro call early elections only months ago. 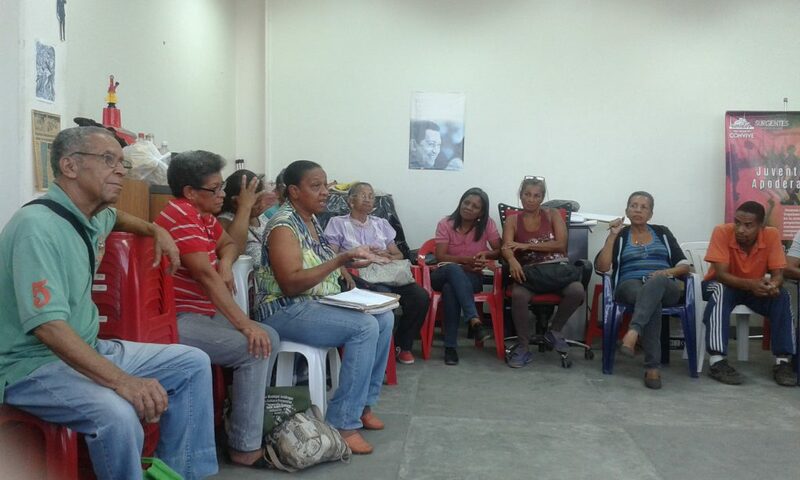 Venezuela’s main opposition coalition, the Democratic Unity Roundtable (MUD), has followed suit: having been involved in dialogue talks with the government late last year that included the issue of early elections, the MUD is now calling for a voter boycott and nationwide protests to denounce “fraud”, four days before the election. However, with election day approaching, divisions within the opposition have opened up, with some sectors swinging behind Falcon’s campaign. Among them are a bloc of opposition MPs that have created the “Let’s Change” platform and former MUD secretary general, Jesus Chuo Torrealba. Presidential candidate Luis Alejandro Ratti announced on May 8 he was stepping down to support Falcon’s campaign. A meeting between Falcon and the other main opposition candidate, former evangelical pastor Javier Bertucci, was held the following day to discuss the possibility of a united candidate. Results of a Hinterlace poll released in early May indicate that participation in the elections will be about 63%. 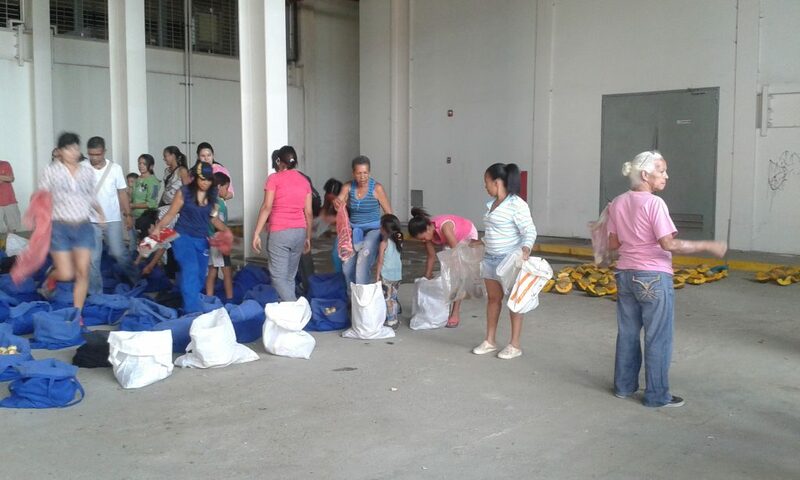 To get a sense of the election campaign and situation in Venezuela today, Federico Fuentes spoke to Australia Venezuela Solidarity Network (AVSN) Brisbane co-convenor Eulalia Reyes de Whitney, who has been back in her home country for the past several months. 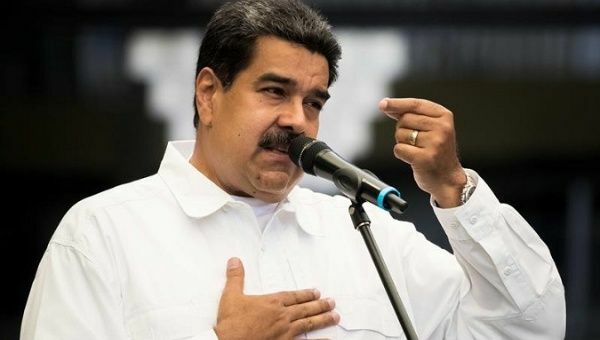 TeleSUR English, May 8, 2018 – Venezuela’s President Nicolas Maduro has vowed that if he wins the May 20 presidential elections, he will call for a new national peace dialogue to be held in the Dominican Republic and include every political and social force in the Latin American country. “Once Venezuela chooses me as president… I will call for a great national dialogue for peace,” said Maduro during a campaign event transmitted by national TV. After several rounds of negotiations late last year in Santo Domingo, opposition leaders decided not to sign an agreement that had been reached between their representatives and those of the government. Electoral authorities brought forward the date of the elections to May 20, but a part of the opposition is still boycotting them. The Democratic Unity Board (MUD) claims the electoral process lacks transparency and predicts there will be widespread fraud. Main opposition candidate Henri Falcon ignored the MUD boycott, however, and is running in the elections. He’s currently in second place in the opinion polls, behind President Maduro. “We have an incapable and inept president, in no condition to generate control and policies that can solve Venezuelans’ problems,” Falcon posted on his Twitter account. Falcon has severely criticized the MUD, of which he used to be part, for boycotting the elections. On May 4, a day after the MUD reaffirmed their boycott, Falcon said such opposition groups will disappear because of their attitude. Several organizations and opposition politicians are supporting Falcon, leaving the MUD progressively more isolated. Timoteo Zambrano, representative at the suspended National Assembly (AN), announced the creation of a parliamentary platform called ‘Let’s Change’ (Cambiemos, in Spanish) in support of Falcon. The group is also supported by representatives Teodoro Campos and the first vice-president of the AN, Julio Cesar Reyes. Caracas, May 8, 2018 (venezuelanalysis.com) – A new round of US sanctions against Venezuela, this time directed against three individuals and their businesses, was rebuffed this Monday by Samuel Moncada, the Bolivarian Republic’s Vice Minister for Foreign Relations. These newest sanctions were announced by Pence during a Monday speech before the Organization of American States, in which he called Venezuela’s upcoming May 20 elections a “sham” and reiterated US demands for the vote to be canceled. The latest in a long series of US sanctions directed against Venezuela, including harsh financial sanctions barring dealings in PDVSA and Venezuelan sovereign debt, Monday’s measures target three low profile figures who, according to the US government, engage in drug trafficking. 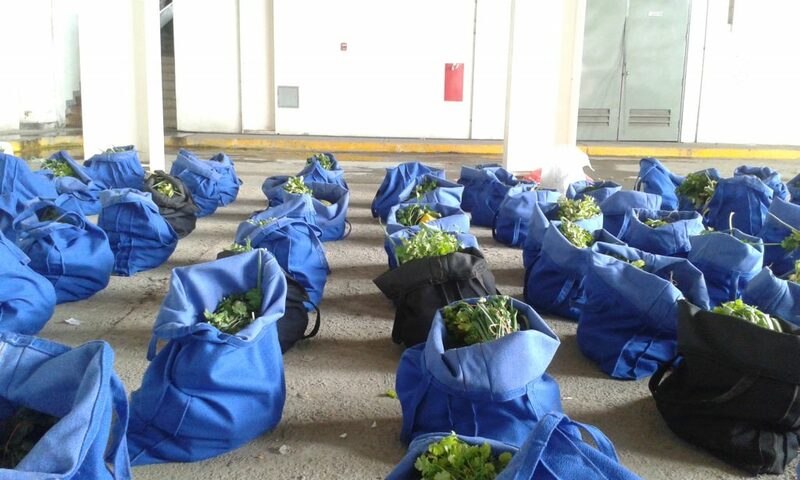 The sanctions freeze the assets of these individuals, who have no demonstrated connections to the Bolivarian government, and their 20 companies which are spread between Panama and Venezuela. At the OAS meeting in Washington, Pence urged countries from the region to impose financial and travel restrictions on the country’s leaders, affirming that “it is time to do more, much more” in relation to Venezuela. Among the additional steps the Trump administration is reportedly considering are further sanctions targeting the South American country’s oil industry, including a possible oil embargo. Venezuela’s opposition parties have not commented directly on the latest sanctions, but a number of leading anti-government politicians have endorsed Washington’s hardline stance vis-a-vis Caracas. For his part, opposition presidential frontrunner Henri Falcon spoke approvingly of Pence’s remarks, calling Venezuela a “disturbance” to the region. “Venezuela has become a factor of disturbance for the countries of the region,” he said in an interview with Union Radio on Tuesday. Falcon was himself reportedly threatened with US sanctions after he defied a boycott of the May 20 elections by Venezuela’s main right-wing opposition coalition, the MUD, agreeing to a series of electoral guarantees with the Maduro government. Meanwhile, MUD-aligned opposition leaders Julio Borges and Carlos Vecchio were present in the OAS meeting and asked for more pressure to be put on to Venezuela to prevent the upcoming presidential elections. In recent months, Borges and Vecchio have been on an international tour lobbying conservative governments throughout the hemisphere and in Europe for further and tougher sanctions against Caracas. Last August, the MUD publicly supported the Trump administration’s economic sanctions targeting Venezuela and its state oil company PDVSA. Who is Afraid of Venezuelan Democracy? Counterpunch – It is astounding, and sinister, that the European Parliament on May 3 passed a resolution (492 in favour, 87 against, 77 abstentions) demanding that Venezuela suspend the presidential elections slated for May 20. Do these European countries think that they are still colonial powers that can demand anything from other countries? Does European arrogance stretch to demanding that another country disregard its own rule of law, its electoral regulations and its negotiated arrangements with the leaders of their opposition? There was a time when the non-aligned countries believed that a strong, independent Europe would be a healthy counterbalance to the remaining super power. This was wishful thinking, as Europe today seems a flock of lambs following the dictates of a most unbalanced USA president who is determined to overthrow the legitimate, democratic, peaceful, and popular government of Venezuela. It, of course, is all about the largest deposit of oil reserves in the world that lie in Venezuela and which is coveted by all and sundry. And how dare its government not follow the neo-liberal dictates of Washington, the IMF and the World Bank? When examining democracy in any place, the first characteristic that comes under scrutiny is the process of elections: if they take place, how they take place and who participates. It is a given that anyone claiming to support democracy must be in favour of elections. One reason is the effectiveness of the Electoral Power (CNE) and another is the anti-fraud protection of the system, which is digital, written and electronic. There are three guarantees to each vote: a fingerprint, an electronic vote and a paper receipt. Another characteristic of the 23 elections that have occurred in Venezuela these past 19 years is the robust presence of domestic and international observers. It is important to note that neither the USA,Canada or most European countries accept international observers to their elections. It is all right for these powerful countries to examine lesser poor devil countries, or (“shithole countries” as Trump inelegantly called them) but do not dare to look closely at what we, the powerful, do. Thus in our lifetime we have seen two USA presidents arrive at the White House under dubious circumstances at best: George W. Bush’s second term and Trump, neither who won the popular vote and were elected by virtue of a complicated, most un-transparent, patronage system of their “electoral colleges”. Where were the “demands” of the European Parliament in these cases? We are witnessing before our eyes a scenario of subversion and disqualification of Venezuela’s democracy. The USA, Canada, the European Union, the OEA and the so-called Lima group of lackey right wing governments of the region, are attacking the very elections that for two years they had clamored to take place. The Venezuelan government responded by quoting its laws, that prescribed that the elections were by law to take place in 2018; it was not good enough. They wanted the elections last year. The government negotiated with the opposition in the Dominican Republic and an April date was agreed upon. Not good enough- the opposition asked for more time and the government again agreed and they settled on the 20 May date. Now the European Union, says it “does not accept” the elections because there are no “guarantees” without specifying what they mean, they ask for a “return to the constitutional order” without allusion or attempt to know and understand Venezuelan laws and Constitution. 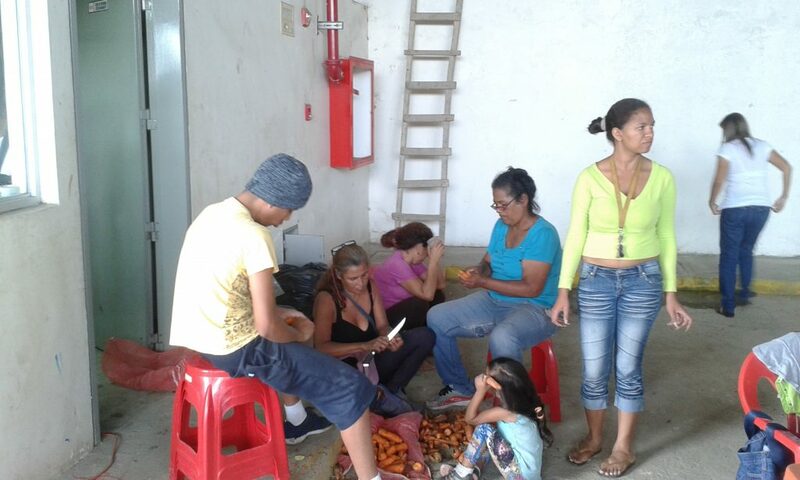 In Venezuela, the vote is secret; the process is orderly, observed by international witnesses and with the participation of opposition candidates. Some opposition leaders have refused to stand for elections, but this is by their own free will, not because of any prohibition or official hostility. Unless they refer to Leopold López, scion of two of the country’s most wealthy families who is in prison, after a lengthy, fair trial, with the best defense lawyers money can buy, who was nevertheless sentenced to 13 years in prison for inciting – in full view of cameras- appalling street violence that killed 46 people. That is the rule of law: people who are proven to have committed violent crimes must pay with prison, regardless of who their families are. Actually, it is the USA strategy of abstention that the main opposition leaders are following so that the elections can be disqualified. The government is aware of this tactic but has repeatedly asked these opposition parties to stand for election. These no-show candidates are campaigning for abstention, asking the people NOT to vote! What kind of democrats are these that – after aggressively demanding elections now do not want elections and urge people NOT to vote? They are trying to demonize an otherwise sterling electoral system. In sum, it is a montage, a theater scenario to continue to demonize, antagonize, and sanction a government they wish to overthrow. The truth is that it is the left wing governments that repeatedly restore and protect democracy in the region. The right-wing governments in Latin America today are unable to command the popular vote and have come to power through corruption (Peru, Colombia, Panamá), fraud (México), coup d’état (Honduras) and with parliamentary and legal coups (Brazil, Paraguay). Macri being the only exception, as he clearly won the elections. The right wing governments have come together under the axis of the USA implementing a new type of despicable Plan Condor – that plan that in ‘70 assassinated 60,000 union, rural, political and community leaders. 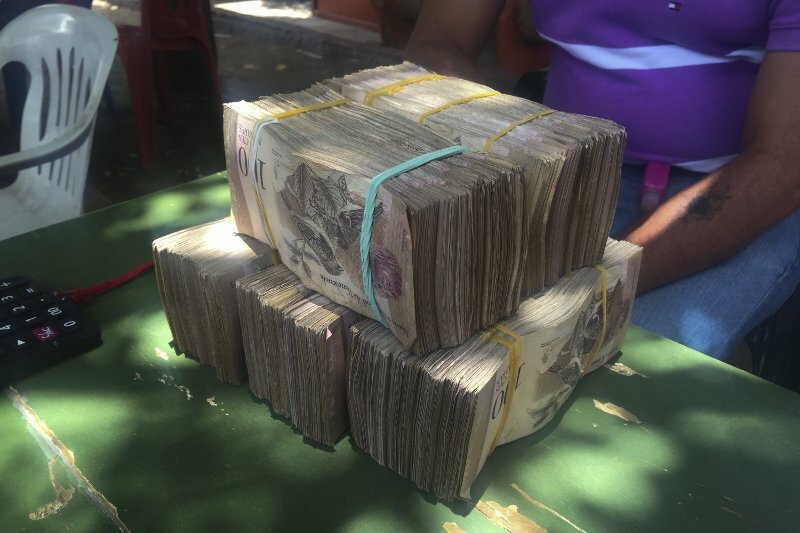 Now embolden with the unbalanced man in the White House, they have without shame reached a point that they openly finance the opposition: for example, last month, in Lima, vice-president Pence of the USA publicly gave $16m.to Julio Borges. What would happen in Canada if China gave $16m to the NDP party, or in the USA if it gave it to the Democrats? How can the USA tears its robes in anguish alleging that Russia “intervened” in its sacred elections by releasing some e-mails, however authentic they could be? How can they not see what the USA does with impunity, with no questioning by the media, in the elections of a long list of countries? And not just Latin American ones – does no reporter remember Ukraine? 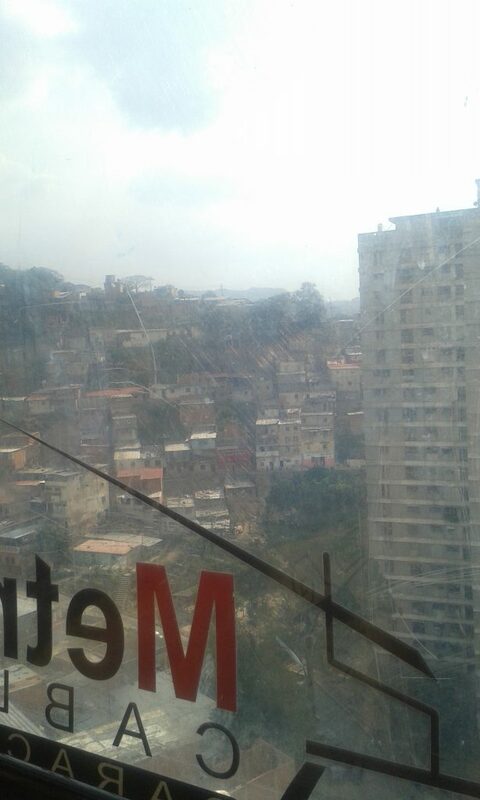 + The economic war, which in Venezuela has allies in the wealthy elite of impresarios and banks. + The new legal coups called LAWFARE, by which courts and parliaments are manipulated to criminalize opponents: thus they ensnared Dilma Rousseff and Lula in Brazil, Cristina Fernández in Argentina, and they are trying to do the same to Rafael Correa (who even out of power is seen as a threat), and of course, to Nicolás Maduro. A year ago, the opposition in Venezuela managed to get a majority in the National Assembly and immediately afterwards, the Venezuelan government accepted the results and did not allege fraud. They won, not because their votes had increased as they were still at 4%, but because many government supporters abstained, as they were disappointed with the economy. But it has been 5 years of economic war and the population now understands to whom they owe the economic crisis: the leaders of the opposition were the ones who went all over the world to ask powerful nations to boycott and sanction their own country, to deny it financial and diplomatic support and to help them overthrow a government which they are unable to defeat in the polls. Such treason would have been unthinkable in the past. There is a systematic, strategic plan devised by Washington to deny Venezuelans food and medicines. Its executors are the large corporations, commercial elite and the banks. It could not be clearer. For example, when there is no bread in the bakeries or the price is too high, people start baking their own bread. Then, flour and yeast disappears from the stores. When there are no detergents, people clean with bicarbonate of soda (up to then an extremely cheat product), and then this disappears from the stores. When corn and corn flour is unavailable people buy yucca (another very cheap product), immediately it disappears from the market or its price skyrockets, so much so that there is talk of “a war on the yucca”. These are not cases of an objective “supply and demand” as some may think. It is a conspiracy of an impresario, commercial, financial class that is so rich and is so backed by foreign finance that they do not care if they do not sell or make a profit, what they want is to strangulate the economy and they do not care how much their own people suffer for it. It is a lust for power, to be given to them by foreign powers. It is clear that the progressive, left-wing government when they again come to power (and it will happen) will have to take serious measures to protect democracy, in a much more efficient and creative way because the right does not respect the rules of representative democracy. It will mean the democratization of the banks, of the media, greater centralization of imports and the implementation of novel judicial regulations to prevent LAWFARE. The left has no other option than to deepen participatory democracy, to enlarge it, to give the population greater social accountability to prevent corruption and to strengthen the communes. The duly elected National Constitutional Assembly, which is drafting a new constitution, has shown great wisdom and they must surely be thinking seriously about these measures. + 71% consider that Maduro will win the elections. There is strong confidence that democracy in Venezuela is alive and well, and that is why the USA, Canada, European Union and its allies are afraid of it.